That was Renée Bergkamp, Director of Vewin, the Dutch lobby group for water companies, talking the current campaign to get people to use less water when they shower, as reported by the NOS on 4 September. The problem is, just telling them is very unlikely to work. The trend she refers to is that people now shower for 9 minutes and use 51 litres of water (and the energy used to heat that water), whereas in 1992 they used 40 litres in 7.5 minutes. Young people use even more – 90 litres. The call is for us to all go to 5 minutes (28 litres). What she didn’t say (or wasn’t reported if she did), was that although most households in the Netherlands use less water than they did previously, showers are the one use of water that is increasing and thus the main goal for household water conservation efforts. The first problem with Bergkamp’s statement is that in monetary terms, the daily savings per person are actually not especially huge. In a place like the Netherlands, water rates reflect that there’s usually more concern about keeping water out of places than finding enough of it – they average of €0.0015 per litre. Energy use is more salient, but not much more – it’s about €0.005 per litre to warm from 10 to 40 degrees. So, total costs are €0.0065 per litre, meaning that 90 litre luxurious shower costs €0.585, the average person’s shower €0.3315 and the desired quick shower €0.182. For the average person, 15 cents a day isn’t much of an incentive to change shower behaviour. Of course, over a year and as a family, it does add up. Assuming people shower just over five times per week, the 90 litre users would spend €154 per year to shower, where those who use 51 litres would spend €87 euros. 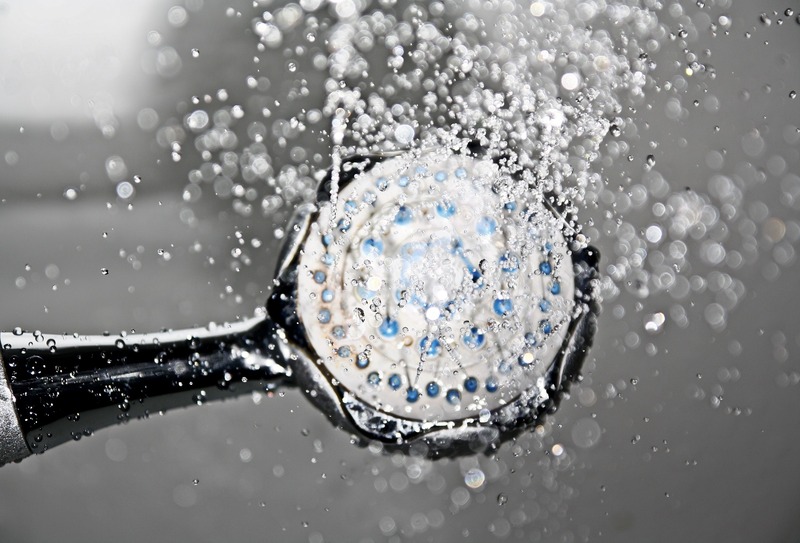 Reducing showers to 5 minutes would make yearly costs a mere €48. Thus, an average family of four moving from the average to the quick shower would save €156 a year. Whether that’s a significant financial incentive depends on the family, but given that it’s so hidden in the rest of water and energy use and spread over the year, I’d say that for most it’s not enough to cause change. However, the second, much larger, problem is that this quote ignores what’s known about changing behaviour. Even if the financial incentives were much larger, counting on them to change shower behaviour would still be problematic. There is a lot of evidence telling us that financial incentives don’t always work, especially when they’re small and hidden like this. Plus, there’s also a whole lot of evidence saying that changing habits is one of the hardest things to do and that it takes a whole lot more than just facts and logic. And, with the profiles they provided, the average showerer will feel vindicated by both their conformance with social norms and their “superiority” to those wasteful young people and may be even less likely to change. But Bergkamp can perhaps be excused – it doesn’t seem that getting people to use less water is actually one of Vewin’s main policy areas. The campaign to reduce shower time is actually from the program WaterSpaarders (WaterSavers), an initiative of the WWF, Unilever and the Missing Chapter Foundation, an organization set up by Princess Laurentien to help bring the voice of children and young people into planning for a sustainable future. Vewin is one of WaterSpaarders supporters and Bergkamp was quoted on the day of their big action, rather than using the press packet. And the WaterSpaarders strategy does take into account more than just conveying facts and expecting them to work. They have developed cute prompts – shampoo bottles decorated by the kids to remind people to shower less. And they’re running a school-based program to get kids to compete to save the most water while showering. They are also not focusing on the cost of showering, but more on the reduction of energy use, which is much better as a goal, and should resonate more with people than a small and hidden financial incentive. What is the theory behind how WaterSpaarders works? How can you get the Dutch to shower more quickly? Changing this kind of behaviour is especially difficult. Having a nice long shower is just like an addiction: you get a nice feeling every time you do it. To change shower behaviour in spite of this, an approach based on two insights was developed. – First: if we want people to exchange an old habit for a new one, we have to consider current findings from psychology that explain behaviour change in a number of logical steps (see Prochaska and DiClemente). – Second: to be successful, we should not work with rational arguments or scary pictures, but instead by using the ‘social brain’. When it comes to behaviour, people are most influenced by others, especially when these others are their own children. Children are the best reason to think about the future of our planet – and therefore about using less warm water – and they are ultimately the best “change managers” in a family. Children are thus the focus of the WaterSpaarders campaign. I can’t know, of course, what information the NOS reporter had to work with, but it is interesting that they chose to quote the financial and technical aspects (the article goes on to quote Bergkamp and Ric de Jong from KIWA, a certification company that tests technology) rather than talking about the human side of behaviour change or WaterSpaarders actual campaign. This focus on finances and technology is far too prevalent, and doesn’t really work. Like WaterSpaarders itself, we need to pay attention to the human side.